Take part in the Great Bristol 10k as part of Team Starfish. The sell out Great Bristol 10k event returns this May 2018. Starting near Millennium Square, the route runs parallel to Bristol Harbour and along the Avon Gorge. The return takes in views of Spike Island and the Cumberland Basin before passing the Gothic St Mary Redcliffe. The finish line is located back near where the race began, so you can meet up with family and friends along the Harbourside. Then celebrate your achievement amongst the bars, restaurants and attractions! Guarantee your place in this event today and apply to be a part of Team Starfish. 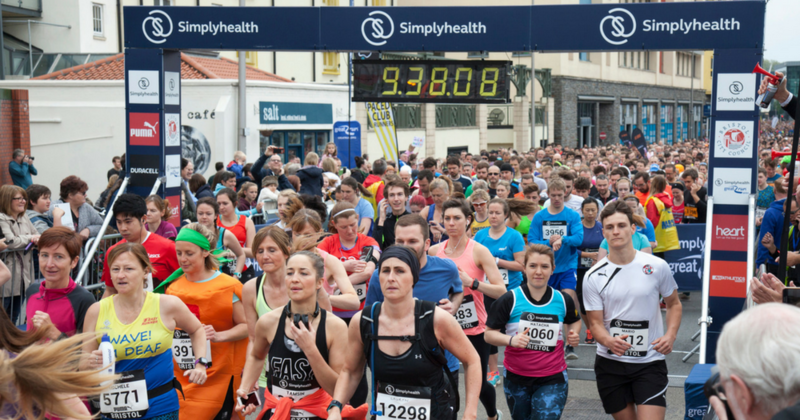 How do I sign up to take part in the Great Bristol 10k? To apply to take part in this 10k event as part of Team Starfish, simply complete this short online form. Why run the Great Bristol 10k on behalf of the Family Holiday Association? In return, we ask for a registration fee of £25 and a commitment to raise a minimum of £175. If you have any queries, please email Michelle Shepherd or call her on 020 3117 0657.